From lights and air conditioning systems to your television and computer, there are few things in your home that don’t run on electricity. That’s why, when the power goes out, it can leave your home dark, uncomfortable and, sometimes, unsafe. Larry & Sons offers generator service in Hagerstown, MD for KOHLER brand generators. Here at Larry & Sons, we take pride in the quality of workmanship that we provide and we only recommend brands that share that same passion for quality. That’s why we’ve chosen to offer KOHLER generator services in Hagerstown, MD. From installation and maintenance to repairs and replacement, our expert technicians can handle the job. Call us today to find out more or if you need KOHLER generator installation or service. How does the KOHLER Home Generator Work? Home generators are indispensable when the weather gets tough and the power goes out. Whole–home generators generally have two different components: the actual motor that generates the electricity and then the control panel. The motor is usually installed outside your home in a weather–proof and sound–resistant box. The control panel connects to your home’s circuit breaker by a switch that senses when the power goes out. When it does, it activates the motor and starts feeding electricity into the circuits for your home that require the electricity. Depending on the size of your generator, it could deliver electricity to all the circuits or to just the bare minimum ones. The benefits of having a whole house generator are immense. First, you get the peace of mind knowing that your family and loved ones in your home will always have access to electricity even when the power grid goes out. If that wasn’t enough, a whole house generator will also keep your house safe during any power outages. With a back–up generators, you can keep essential components like your lights and heating system operating so that your home stays comfortable throughout the duration of the outage. When it comes to installing a whole house generator, you need an expert to handle the entire process. The first step of the process is to find one that is the right size for your home. If you get one that is too small, it may not be able to give your home enough juice to keep it running. From there, a cement slab needs to be poured perfectly level so the unit can be secured to it. Finally, a new control panel needs to be installed and hooked up to your electrical main. This is dangerous and requires the training and expertise of a true professional. Let Larry & Sons handle all of your KOHLER generator installation in Hagerstown, MD. 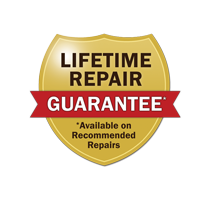 If your generator isn’t working as it should, call Larry & Sons for KOHLER generator repair in Hagerstown, MD. We repair the KOHLER generators we install and we always respond as quickly as possible to your call. If you’ve tried testing your generator but it doesn’t work, our technicians specialize in finding problems fast and repairing them. We can visit your home regularly to inspect your generator and alert you to any issues that we find so you can approve them for repair. Don’t risk your generator not working well when the power goes out: schedule generator maintenance today with Larry & Sons. Larry & Sons is the company to call when you need KOHLER generator installation and service in Hagerstown, MD. We can talk with you about the KOHLER generators we install and recommend a product that fits your needs and your budget as well.